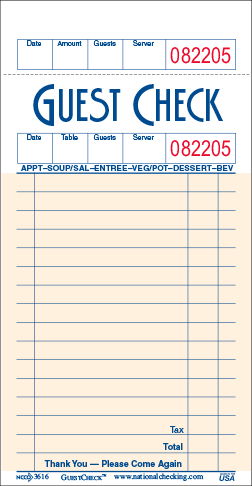 Our S3616 salmon color restaurant guest check is a medium single copy paper guest checks are lighter weight than similar medium cardboard guest checks printed by National Checking Company. 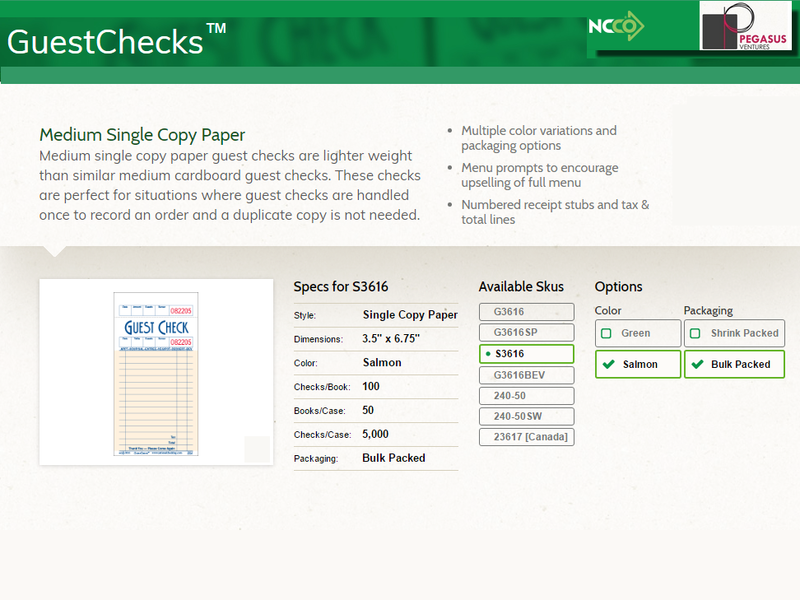 The 1 part S3616 guest check is perfect where guest checks are handled once to record an order and a duplicate copy is not needed. This restaurant guest check features menu prompts to encourage up-selling of full menu and numbered receipt stubs and tax & total lines. Each case contains 5,000 bulk packed guest checks in 50 books with 100 guest checks in each book. 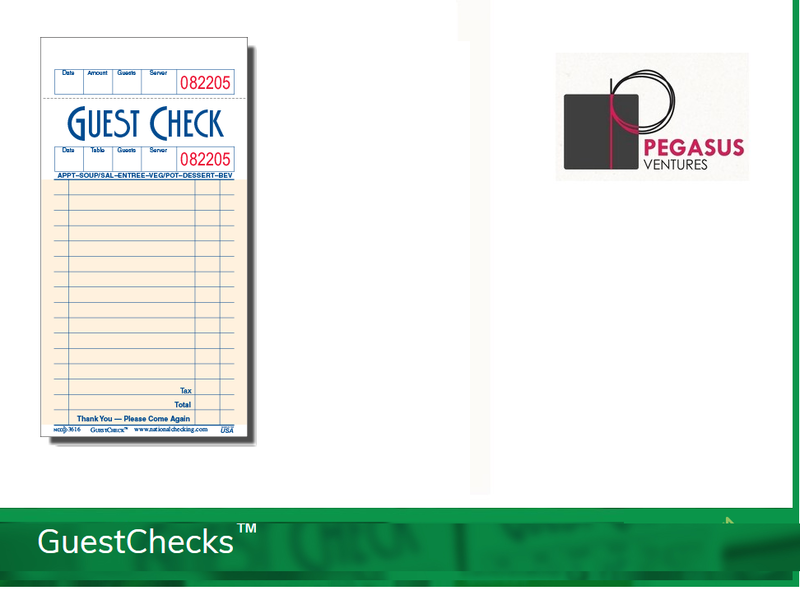 Check out the AL-300 Medium Black Check Holder below, a great fit for the S3616 restaurant guest checks.